Last summer Antoine Martin went for the Double Pushloop, now he is going for the no handed Goiters. Antoine is one of the windsurfers, who loves to develop windsurfing and push the sport. Antoine did not land this attempt back in the wave, but we are sure, he will land it soon. Thanks to Olaf Crato for capturing this move at Ho’okipa in Maui. Antoine Martin from Guadeloupe is famous for his crazy multiple Pushloop rotations. 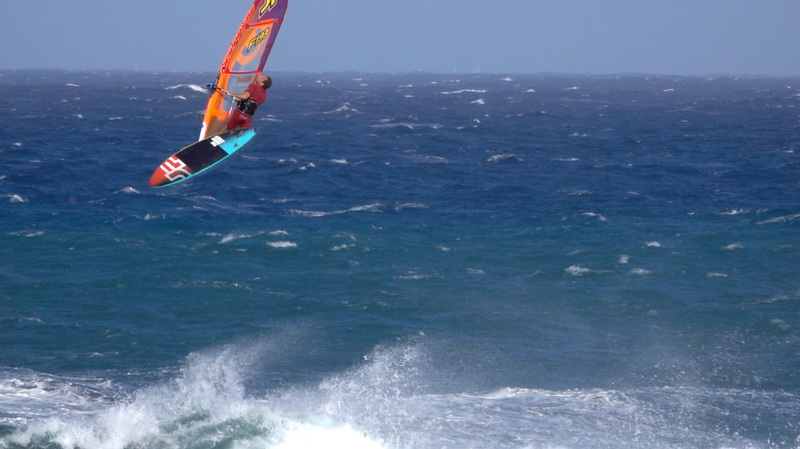 During one of his evening windsurfing session at Pozo Izquierdo last summer Antoine rotated through this Double Pushloop attempt.